Once at the centre of the American conservative movement, bestselling author and radio host Charles Sykes is a fierce opponent of Donald Trump and the right-wing media that enabled his rise. Sykes presents an impassioned, regretful and deeply thoughtful account of how the American conservative movement came to lose its values. How did a movement that was defined by its belief in limited government, individual liberty, free markets, traditional values and civility find itself embracing bigotry, political intransigence, demagoguery and outright falsehood? 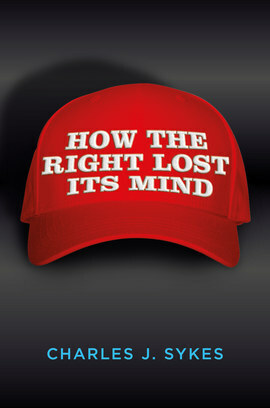 How the Right Lost its Mind addresses key issues that face American conservatives under a Trump presidency. It asks why so many voters are apparently credulous and immune to factual information reported by responsible media. And why did conservatives decide to overlook, even embrace, so many of Trump’s outrages, gaffes, conspiracy theories, falsehoods and smears? Can conservatives govern, or are they content merely to rage? And central to Sykes’s discourse is the question of how can the right recover its traditional values and persuade a new generation of their worth.